Weddings are meant to be beautiful. When we think of two people committing to love each other for the rest of our lives, our minds conjure pictures of white doves and perfumed flowers. Motivated brides spend months and small fortunes to plan and execute the perfect experience. Sometimes, however, good planning just isn’t enough. No matter how carefully an event is prepared, the unexpected can still happen. But that doesn’t have to ruin the big day! These 20 couples are proof that humor can lighten the burden of even the most awkward wedding fails. Not Off To a Good Start? I’m a little worried about this marriage. If she can’t stand his kisses on day 1, what’s going to happen in 20 years? The guy in the background seems to be getting a kick out of this. How embarrassing to be that guy. How do you recover from this? She probably had visions of floating to the water’s surface like a newlywed swan. 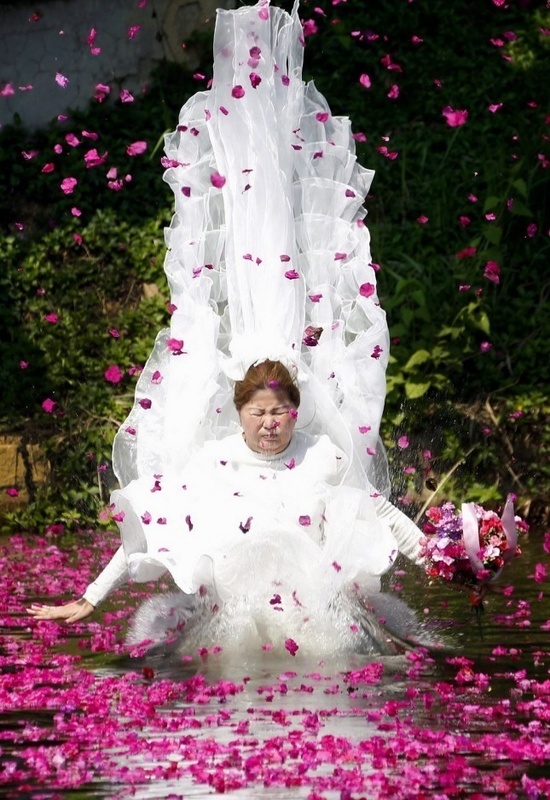 Instead, this cannonballing bride looks less than graceful as she falls in a shower of fuchsia flowers. 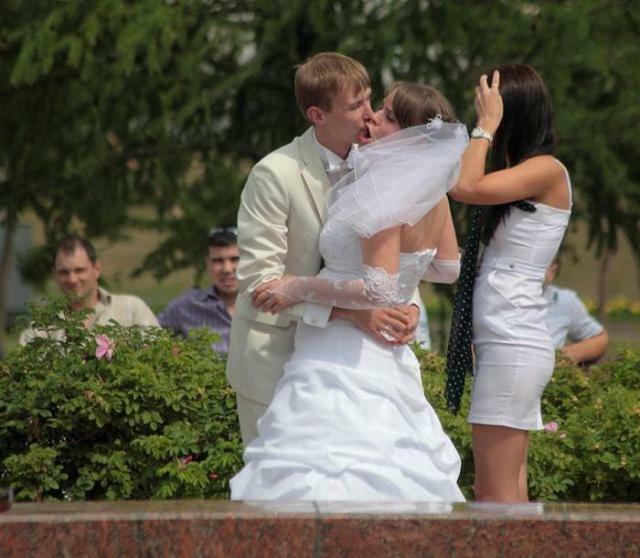 The expression on her face lacks the blissful joy expected from a blushing bride on her wedding day. Oh well. There’s always Photoshop.